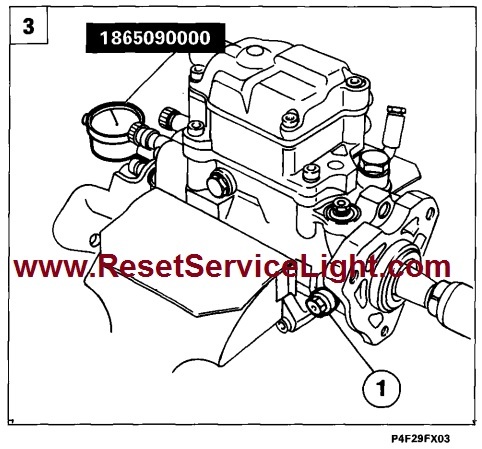 Refitting injection pump and adjusting timing Fiat Marea 1996-2007. 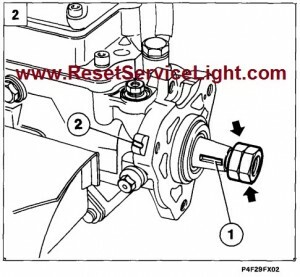 Secure the injection pump in a vice, then loosen the retaining bolt(1) and remove spacer (2). 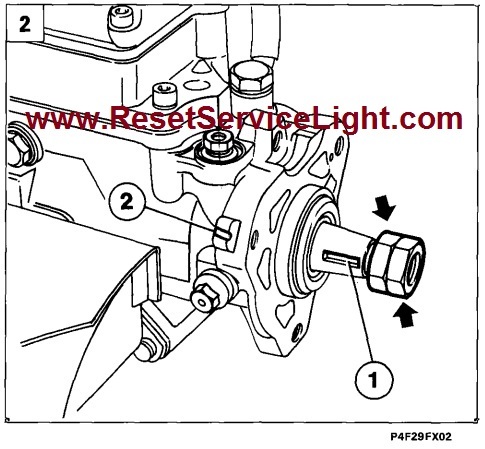 Use a nut and lock-nut located at the threaded end of the pump shaft to align the key seat on pump (1) with the notch on pump case (2). 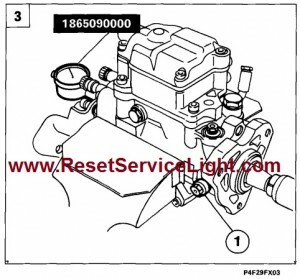 Remove the cap on the pump cover and tighten probe 1865090000 together with guage into contact wtih the distributor piston crown. 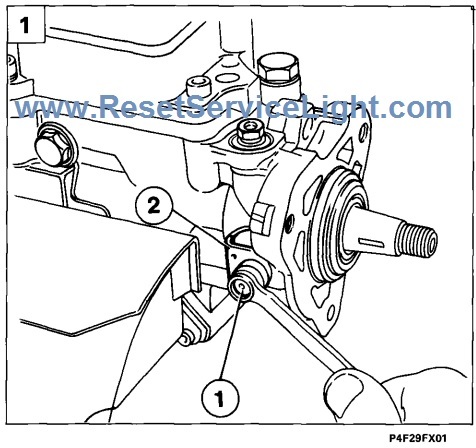 Turn the pump shaft anticlockwise to the distributor piston BDC, as indicated by the gauge. Reset the guage to zero and turn the shaft clockwise until piston stroke is 0.75 mm. Prevent the shaft from turning by means of retaining bolt (1). 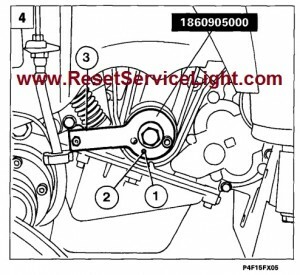 Fit the belt and position tool 1860905000 on the crankshaft gear and pin (3); turn the crankshaft by small amounts until centring dowel (2) fits into hole (1). In this position, the first cylinder is set to TDC.